Description: Inject a huge shot of NITRO into your fishing with the high-powered Z-8. At an impressive 20′ 1″ (6.12 m) long with a massive 8’ (2.44 m) beam, this boat is loaded with performance and fishing features for anglers of any and all skill levels! It all starts with the hull. 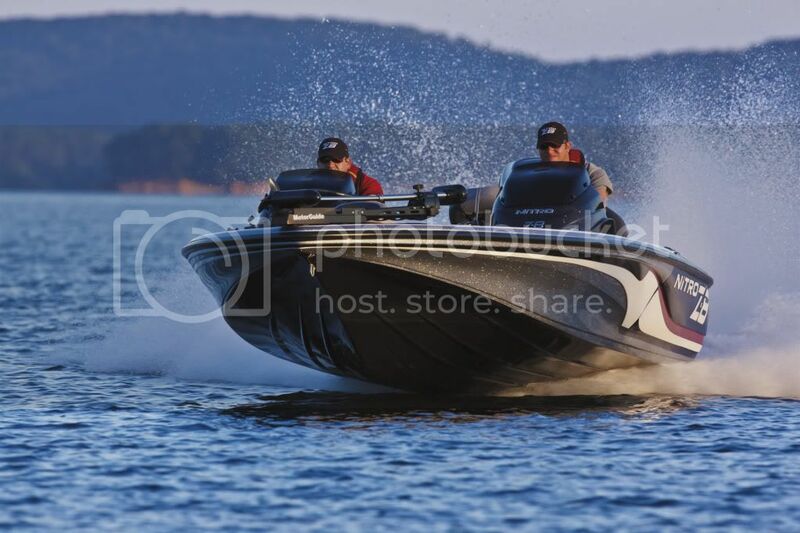 Specially designed to provide maximum speed, stability and easy handling, the Rapid Planing System and NITRO performance hull will easily get on plane and hit top speeds quicker than any other boat on the water. It’s more than just fast, though! A high-tech Lowrance® fishfinder, a powerful MotorGuide® trolling motor, convenient storage compartments and a huge aft livewell provide all the backup you need to fish bigger than ever! Package Weight (approx.) 3620 Lbs. Max. Weight Capacity 1850 Lbs.